Given all that, I’m going to focus on Bigtree’s vast ignorance of vaccine clinical trials. He gets it all wrong. He doesn’t understand it. And, he is a dumbass. Not necessarily in that order. …we asked that HHS identify the clinical trial data showing that the safety of pediatric vaccines was carefully studied prior to licensing and injecting them into millions of American children. In response, HHS did not cite any such data. Instead, HHS merely made conclusory assertions regarding pediatric vaccine clinical trials that contradict HHS’s published documents. We take each point in HHS’s letter regarding vaccine clinical trials in turn below. This could be a valid point, except it exposes Bigtree’s lack of knowledge and scientific acumen regarding clinical trials. We’re going to focus on his first giant claim – the lack of placebo controls in pediatric vaccine clinical trials. I’ve seen these claims hundreds of times across the internet from the ramblings of many of our favorite anti-vaccine quacks. It’s based on a complete lack of knowledge of clinical trials. Bigtree, using the age-old methodology of all science deniers, attempts to use a gigantic strawman argument, that there are no placebo-controlled clinical trials, to show that we don’t know that vaccines are safe. That argument betrays his ignorance of medical research, and I’m here to point it out. Before we discuss vaccine clinical trials specifically, let’s take a few steps back and discuss pharmaceutical clinical trials in general. I wrote about it in detail in a previous article, but let me give the top level outline here. Before a new drug or vaccine can enter clinical studies, it must go through substantial preclinical studies, which take, on average, over 31 months to complete. Researchers assess how the drug works, whether it works, and if it is toxic. This is usually done in non-human models like rodents or cell culture. These are real scientific studies that take years to complete and publish in peer-reviewed journals. Most drugs and vaccines never get through these studies because some safety or effectiveness issue is uncovered, and it becomes a dead end. Once the preclinical research is completed, the pharmaceutical company then writes an Investigational New Drug (IND) application to get FDA approval (see Note 1) to begin the clinical trials. The formal application, which is necessarily complex and detailed, is the process by which the sponsor (pharmaceutical company) obtains permission to ship an experimental drug to investigators before the New Drug Application (NDA) is submitted. The IND contains all of the preclinical data gathered by the sponsor (generally, the pharmaceutical company in the FDA’s regulatory parlance). It is then reviewed by the FDA (and almost every drug regulatory agency in the world) to determine if the drug is safe enough to assure that research subjects will not experience unreasonable risks. A new indication for an approved drug. Once the IND is approved, we start the official vaccine clinical trials (since we’re focusing on vaccines). The primary goal of the Phase I trial is to gather dose-ranging data, although safety and effectiveness are also observed. The testing is done on a small group, usually 20-100 healthy volunteers. The dosage is mostly sub-therapeutic. There is generally no control group, nor is there any type of randomization or blinding of researchers and patients. In the case of vaccines, it’s really to see if there are any safety signals since the subjects are generally adults who probably won’t show any clinical effect of the vaccine unless it’s a completely novel one. After completion of the Phase I clinical trial, which takes around two years, the sponsor must submit the results to the FDA to get approval to move to the next phase. The Phase II trial is the part of clinical trials where the vaccine is given to a larger group of participants to see if it is effective and to further evaluate the drug’s safety profile. Generally, at the start of Phase II trials, the researchers aren’t absolutely sure that the vaccine is safe and effective, they don’t know the best dosage, and they don’t know if there may be some rare adverse events. At this phase, the sponsor will test the vaccine in a randomized clinical trial in the group for which the vaccine is intended. Usually, this trial will either focus on children or adults of specific age groups (if that’s how the vaccine is to be used). Because of the small population size in the study, the results generally can only give broad information. For example, in a clinical trial for a new streptococcus vaccine, sponsored by Genocea Biosciences, failed in the Phase II trial. 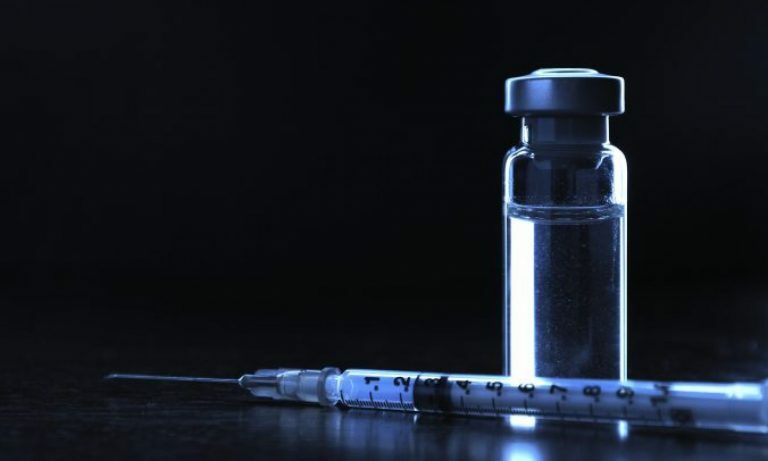 The study showed that the vaccine was effective, but, because of the small number of trial participants, it could not show a robust statistical difference between the control and vaccinated group. Generally, a Phase II trial takes around 30 months to complete. And once again, the FDA pauses the clinical trial at the end of Phase II to review the data before allowing the sponsor to proceed to the next phase. The phase III clinical trial is often called a “pivotal” trial because it provides the best scientific evidence of the safety and effectiveness of a vaccine. It is given to a larger group of patients to confirm its effectiveness, to monitor side effects, to compare it to similar vaccines (if any), and to collect information that will allow the vaccine to be used safely. This phase usually includes 1000-3000, sometimes more, patients (in the age groups that will be targeted by the vaccine) in multiple centers, sometimes, in a variety of countries. Each center’s research is generally managed by a lead researcher who recruits patients. For proper blinding and randomization, neither the patient nor the research knows who is getting what. And no, a patient (or the parent of a patient in vaccine clinical trials) cannot volunteer for one arm or the other of a clinical trial. Of course, this blinding and randomization are the key sticking points of Bigtree’s babbling about vaccines. We’ll get to that below. Phase III clinical trials generally take over 3 years to complete. The results are almost always published in respected peer-reviewed journals. And the data is submitted to the FDA for final approval. The whole process from the beginning of preclinical studies through FDA approval can take 10-15 years, although important vaccines and drugs can take a few years off of that, although it just means that the NDA is put at the top of the pile, not that the review is any less strict or diligent. These clinical trials are time-consuming, expensive, and risky. Most drugs and vaccines just don’t make it to the end of the process, despite the claims of the Big Pharma conspiracy theorists. And that’s the purpose of the clinical trial system, it is one of the best, most effective ways to ascertain whether a vaccine or drug is relatively safe and effective. So let’s get to the point where Bigtree fails to grasp anything important. This endless cacophony from the anti-vaccine religion regarding clinical trials really cements the opinion of many of us that they are clueless about how science is done. So here are the facts. The first point is that many, if not a majority of, clinical trials test an experimental drug (or device) versus the standard of treatment. So if we have XYZ drug that kills small cell lung cancer, we don’t put one arm of that study of patients receiving a saline placebo. That is beyond unethical – giving a patient with small cell lung cancer something that doesn’t work, a placebo, just to see if the new drug is better than the placebo. The actual study would test the experimental drug versus the standard of pharmaceutical treatment for that cancer. If the drug is safer and at least equivalent to the older methods, it might get FDA approval. If it’s the same, it may or may not receive approval. This is the same for vaccines. If we have a new measles vaccine, we are not going to test it against a placebo, because it is unethical and immoral to place half of the trial group at risk of measles because they receive nothing. Bigtree seems to be clueless about this point. Well, guess what all of those researchers will say? You got it, that would be a big fat no way. But let’s say you believe that Big Vaccine Corporation will throw a few million dollars, euros, yen, or gold coins to those researchers to overlook their ethics (which will never happen, unless said researcher is named Andrew Wakefield). Well, these researchers do not get to suddenly set up a clinical trial whenever they want. Before researchers can commence their study, an Institutional Review Board (IRB) must review and approve any study that involves the institution, usually a hospital or academic institution (which usually are one and the same for most clinical trials). The IRB reviews and approves (or rejects) any proposal to do research on humans. They monitor this research from beginning to end. They reject any clinical research that is unethical or dangerous to humans. In fact, the FDA requires IRB approval for any clinical research – they are part of the ethical watchdogs that make sure ethical standards of research are met. So what do you think an IRB would say about clinical research that would ask to put 50% of the study group at risk of measles for this new measles vaccine? That also would be a big fat NO. But let’s say you are convinced that all IRB’s can be easily manipulated by Big Vaccine Corporation to move ahead with this study. Well, then we hit the final point – parents whose children will be included in this study. What do you think they will say if this unethical researcher, supported by an unethical IRB, told a parent that their child would be included in a trial for a new vaccine, but they have a 50% chance of receiving nothing, putting their child at risk of a deadly disease? Their answer would probably be filled with expletives followed by their finding a new pediatrician. Since over 90% of Americans (with similar numbers in almost every country with a strong healthcare system) favor vaccination, these parents want their children vaccinated. Now, I’ve heard some anti-vaccine ignoramuses say, “I’d volunteer my child for a placebo.” Of course, this shows their callous disregard for the health of their children, but we’ll overlook that point for now. Once a test subject gets to choose which arm of the study they are in, it destroys the randomization and blinding of said study. It becomes filled with all kinds of biases such as observer bias. We wouldn’t know if the placebo or experimental arm of the study gave us any information whatsoever. I’m sure such a study would be useful to the anti-vaxxers to publish in their predatory, worthless journals. They could tout them as “science,” when it would be useless. But then again, Big Vaccine Corporation, the IRB, and the investigators would all not agree to such a study, because it would be worthless. And one more thing – the FDA would break ribs laughing at such an NDA being presented to them. So, let’s be clear here. Any new vaccine that replaces an older vaccine will never ever ever be tested in a placebo-controlled study. Maybe I shouldn’t be so black and white – maybe a replacement vaccine could be used in a randomized, blinded placebo-controlled study – I’m wracking my ancient reptilian brain to figure out how one could be done ethically, but I can’t see it. Of course, as I stated, there are conditions when a randomized, blinded, placebo-controlled clinical trial is ethical and useful. That’s when we have a brand new vaccine, so there is no standard of vaccine protection. The chickenpox vaccine was studied in such a way (see Note 2). The HPV vaccines were also studied in double-blind, randomized, placebo-controlled clinical trials because it was a novel vaccine. In fact, there are systematic reviews, considered the most powerful studies in the hierarchy of biomedical research, that have reviewed all of the clinical trial data for HPV vaccines (here and here) – their conclusions were that the HPV vaccines were as safe and more effective than placebos. But let me be clear. The studies for the HPV and chickenpox vaccines could be done in double-blinded, randomized, placebo-controlled studies because there were no antecedent vaccines available to clinicians. So, getting physician investigators to participate was smooth and easy. Getting IRB approval did not require overlooking ethical issues. And recruiting patients to participate did not require investigators to convince parents to put children in harm’s way. Bigtree, being clueless about how clinical trials work, doesn’t get it. But he’s only pushing the tropes of the unenlightened anti-vaccine fools. Of course, science doesn’t just depend on clinical trials, placebo-controlled or not. There’s a belief among the uninitiated that Big Pharma gets FDA to approve a drug, throws it on the market, and awaits the bags of cash being delivered to corporate offices so that the executives can dive into a swimming pool of gold coins like Scrooge McDuck. Phase IV clinical studies, sometimes called post-marketing surveillance, either sponsored by the company or run independently by investigators, continue to examine the new vaccines for “safety signals,” potential adverse events that arise in randomized studies, or for any effectiveness issues. These studies go on for 10 or more years after the vaccine is first marketed. Large case-control or retrospective cohort epidemiological studies are often more powerful and more robust methods to detect even rare adverse events compared to the general population. These studies continue long past the release of a new vaccine, and usually provide us with the best evidence for the safety and effectiveness of new vaccines (and all pharmaceuticals). Real scientists, not the pseudoscientists like Bigtree who cherry pick anything that supports their ignorance, like to formulate conclusions from a large body of data. Epidemiological studies that support the fundamental clinical trials often lead to the best information about a new vaccine. That’s why we know that there are no safety signals with the HPV vaccine. That’s why know that the HPV vaccine prevents cancer. Not the uninformed and laughable claims of a misinformed fool like Bigtree. Del Bigtree is wrong again about everything, but he is particularly wrong about his demand for some magical placebo-controlled clinical trials. Randomized, double-blind, placebo-controlled clinical trials should be done for vaccines only if it is ethical, meaning that it is a novel vaccine where the placebo arm of the trial doesn’t endanger the health of children or adults. Ethics. Anti-vaxxers just don’t get it. Did I mention that Del Bigtree is an ignorant clown? Although I am focusing on the regulatory requirements of the FDA, it is similar across the world. Many countries allow preclinical and clinical data used in an NDA in one country to be used in another one. Most countries do not expect or require a pharmaceutical company to repeat clinical trials in their own countries. In fact, most clinical trials these days have research sites that are global. There are dozens of published articles in the late 1980s and early 1990s that establish the safety and effectiveness of the chickenpox vaccine, I just chose one that had a readable abstract, since I know most people don’t ever get the actual paper to read. If Big Medical Publisher would get rid of the paywalls, maybe more anti-vaxxers will be impressed by what it takes to do real scientific research. Well, that’s a battle to be fought another time. Arbyn M, Xu L. Efficacy and safety of prophylactic HPV vaccines. A Cochrane review of randomized trials. Expert Rev Vaccines. 2018 Dec;17(12):1085-1091. doi: 10.1080/14760584.2018.1548282. Epub 2018 Nov 29. PubMed PMID: 30495978. D’Addario M, Redmond S, Scott P, Egli-Gany D, Riveros-Balta AX, Henao Restrepo AM, Low N. Two-dose schedules for human papillomavirus vaccine: Systematic review and meta-analysis. Vaccine. 2017 May 19;35(22):2892-2901. doi: 10.1016/j.vaccine.2017.03.096. Epub 2017 Apr 25. Review. PubMed PMID: 28455170. Englund JA, Suarez CS, Kelly J, Tate DY, Balfour HH Jr. Placebo-controlled trial of varicella vaccine given with or after measles-mumps-rubella vaccine. J Pediatr. 1989 Jan;114(1):37-44. PubMed PMID: 2535873.